Africason | African School | Africa son | History | Black Consciousness | Education: Africa Must Rise Against Neo-Colonialism. Despite huge historical evidence all pointing to the fact western countries are not interested in making better the lives of poor countries, whether in Africa or Asia or South America, but only interested in profit, African leaders keep selling out Africa to western trojan investments which only help to develop western economies but further underdevelop Africa in the long run. 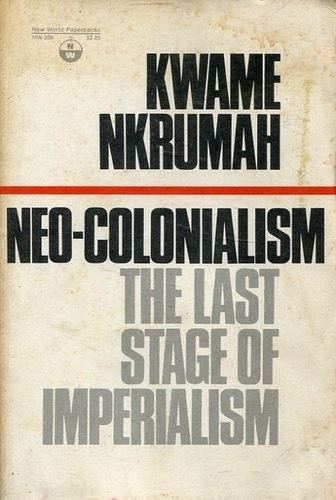 Kwame Nkrumah in his book Neo-colonialism the last stage of imperialism warned Africans ahead of the unequal and predatory business relationships between Africa and western countries. Yet, African leaders do not want to learn now or from mistakes of the past. Sadly, “those who fail to learn from history are doomed to repeat it”. First, the west came to Africa for slave trade, stealing and robbery, traded for over 450 years on human beings across the Atlantic, thereby, sapping Africa of valuable human capital of able-bodied young African males and females who never came back to Africa to contribute to the development of the African continent but are multiplying in other parts of the world to our detriment. The good news was African slaves fought back and slavery ended. STILL, AFRICAN LEADERS DID NOT WAKE UP. Later, the west came back as colonialists overthrowing all African governments and installing themselves as leaders and presidents all over African soil, raped the African continent of our human and natural resources for decades. Africa was robbed naked!. Once again, Africans fought back and colonialism ended. Then, again the west upgraded and came back with neo-colonialism. Neo-colonialism is very sophisticated and deadly as includes mind control, trade control, technology control, control of international business terms, e.t.c. The last is the reason it operates with institutions like the world bank and IMF, which is nothing but a neo-colonial instrument to rip-off poor nations. The World bank and IMF are stationed ready to provide trojan loans to fund various white elephant projects in Africa and other third world countries that in the long run will put the nations in serious debt but will profit the west instead. The World bank and IMF have succeeded impoverishing many countries not only in Africa but across the world. How World Band & IMF rip-off African nations. World Bank & IMF's 4 steps to lure poor nations to poverty. 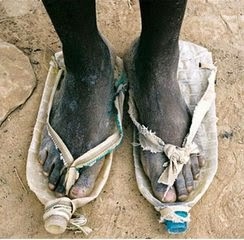 World Bank & IMF; major cause of poverty in third world countries. World Bank & IMF Structural Adjustment Programs - SAP destroyed Africa. Typical World bank and IMF Template to impoverish nations. World Bank & IMF; puppet of rich nations. World Bank & IMF; Neo-colonial instruments to control poor nations. World Bank & IMF development illusion. World Bank & IMF; agents of Poverty!. World Bank & IMF deliberately make countries loan dependent. World Bank & IMF killed healthcare delivery in Africa. Poor nations have paid more Money than they originally borrowed from World Bank & IMF. World Bank & IMF deliberately strangle nations to death!. Making matters worse is the fact that neo-colonialism includes what I call elite brainwashing. Elite brainwashing is not new but it’s a re-invented and ongoing clandestine policy to brainwash elites, not only in Africa but in South America, the Middle East, and Asia. But Asians are smarter now. This clandestine policy ensures that African elites are transformed to westerners mentally i.e making them an African by look but a white man by in mind. Yet, another is technological slavery. Technological slavery ensures science is hidden from poor countries, and will never be discussed because knowledge of science is the shortest way out of poverty for nations. You can read more details on this link about what the west don’t want you to know. It contains information on how poor countries can break away from technological slavery. It’s basically what the west don’t want Africa or any third world country to know. Above is money owed to the world bank and IMF by some poor countries. This's just a few of them. There are plenty more countries not mentioned. One question we Africans should ask ourselves is; when the world bank or IMF give loans; where does the return on investment go? As you can see above, those countries cannot afford to pay off their debts forever, instead, they will spend over 20% of their GDP re-paying loans. 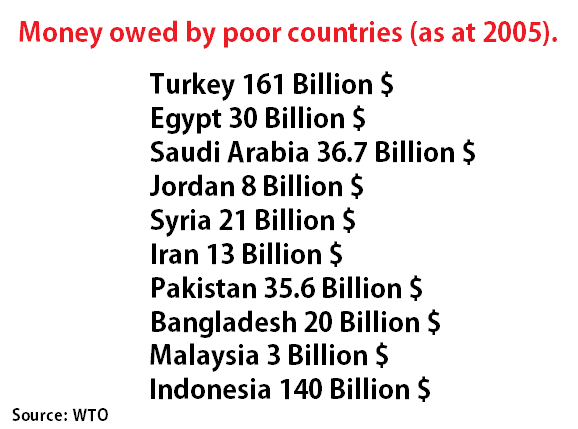 In the end, these countries will end up paying 10 times more than the amount they originally borrowed. This is what the world bank and IMF love because it ensures money continuously flow from poor countries to develop wealthy nations. Note that the above countries are just a few of the indebted countries. 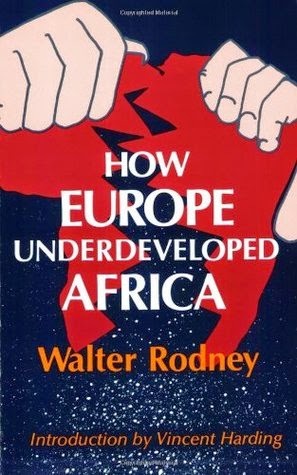 Dr. Walter Rodney, in his book; How Europe underdeveloped Africa, has told us how it all happened and continue to happen, so I need not add anything more. Any African who never read this book should not yet be called an African. And any African leader; president, minister, commissioner, who never read this book should vacate the government seat with immediate effect. If this book does not open your eyes to the predatory business relationship between western nations and Africa, nothing will. It surprises me why African leaders themselves keep walking like sheep herds waiting to be slaughtered at the gallows of western trojan investment, without learning a single lesson from history. Do you African leaders know anything at all about the history of Africa before coming to office? I can’t believe a learned leader should be reminded of all these!. I decided to write this piece because a few days ago, I tuned to CNN news and I saw African leaders sitting around Obama in a room like obedient students taking lectures on how Obama said he plans to invest billions of dollars in Africa. The first thing I asked myself is; where will he get the money he wants to invest in Africa? Because one thing I’m sure is the U.S economy itself is in comatose and need serious help. China has been the nation helping cushion Trillions of dollars of US debts. Does Obama want to print money and fly it into Africa to destroy our economies by inflation? Just last year, government agencies closed all over the US and salaries were skipped for many Americans due to a government shutdown related to increasing US debts. As at today, the US owes a debt of over $17,000,000,000,000. Can you pronounce that? That’s Seventeen Trillion dollars in debts. How could African leaders be so dumb to believe there’s a genuine investment coming soon from that country? What has been our experience with World bank and IMF loans controlled By the US?. It makes me so sad and I feel really depressed to see African leaders clapping when Obama promised he will partner with Africa to fight militant extremist in North and West Africa. Why couldn’t any of you open your mouth to ask him; where are these militants getting their weapons? There were no militant extremists in Mali until the US, Britain, France supplied lethal weapons to Libyan youths and Russia supplied Muammar Gaddafi his weapons. Russia and China also supplied to North and South Sudan; Russia for reasons of the lucrative arms money and China in exchange for their oil. Those Libyan and Sudan weapons are now in the black market and Africa is awash with lethal small arms today. This’s the simple reason for the recent rise of deadly militants across Africa. If I want I could buy my own arms too!. And when you check the label you’re going the see “Made in USA”, or “Made in Britain”, Or “Made in France” or “Made in Russia”. None of those weapons was manufactured in Libya. None was manufactured in Nigeria. None was manufactured in Mali, None was manufactured in Congo. All came from the west!. Even Boko Haram could not have gone on large-scale operations without access to those huge caches of western supplied ammunition. Boko Haram was still operating on a much smaller scale and was containable by the Nigerian government until those Libyan and Sudan arms arrived in northern Nigeria. And don’t tell me you all are not aware these countries are directly or indirectly responsible for all the wars in the world. You know it. Read here a typical example of how the west profit from wars. African leaders, let me ask you a question. Are you saying Obama will displease the American people just to please you? Because, for all I know, budget to US education sector, for example, is on an all-time low, and quality of education has fallen across the US. Poverty and homelessness have also increased all over the US since 2009. In case you’re not familiar with the facts of current US debts, read the below links. US Debt Visualized in $100 Bills. US Tax Revenue & DeficitVisualized in Cash. How The $1.2 Trillion CollegeDebt Crisis Is Crippling Students, Parents And The Economy. Debt Ceiling: How Much Is $16.699Trillion?. African leaders, please open your eyes to see the world is changing and Obama’s proposed investment is all a survivalist move to scoop huge profits from poor African nations then return accrued funds to US banks for their development. It has always been the way it worked since slavery, colonialism, and now neo-colonialism. Nothing has changed!. It’s high time African leaders wake up, cause we the African people on the streets are no longer as ignorant as you all clapping for Obama. Ask yourselves; where do the profits of western investments go?. I can’t believe you all could be brainwashed to a point of not being able to understand that the US itself is fighting for it’s own economic survival and Africa once again is the continent of last resort, where gullible kings and leaders will forever be deceived with trojan loans and or investments. Why do you all think Europe, US, and China are all scrambling for Africa since the world economic meltdown in 2008? Don’t tell me you’re not aware it’s all a survivalist move to better their own economies. Note that I’m not against foreign investment. But the investment funds you all have been receiving over the years are not being put forward to lay the foundation for Africa’s real economic development. Spending money on infrastructure is a quick fix which doesn’t solve the basic problem of our poverty in the long run. Only the west will continue benefiting in the long run in the business and trade relationships we currently maintain. 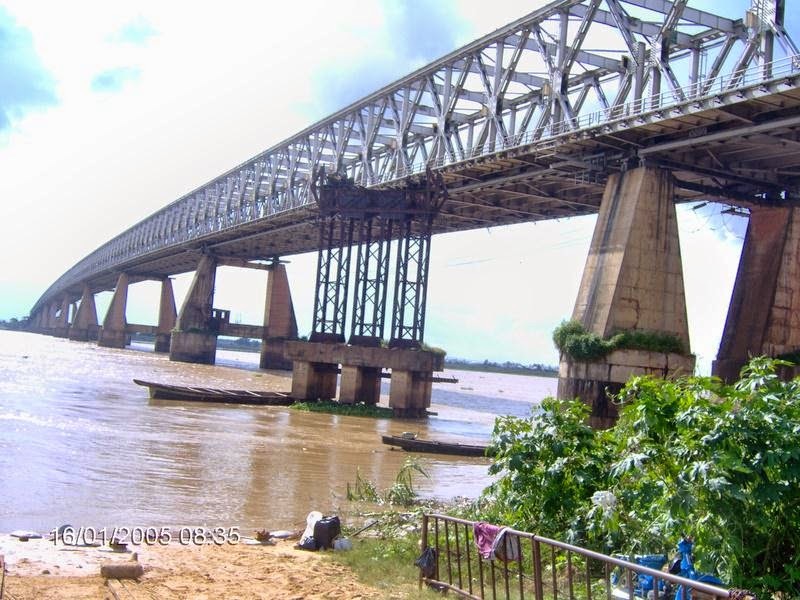 The river niger bridge in Onitsha Nigeria was built in 1965 by a French company called dumez. After 49 years the bridge got bad and needs to be rebuilt but no indigenous Nigerian company could do the job, so the second niger bridge has been given to yet a German company called Julius Berger. You see? Foreign investment or foreign aid or whatever you call it is like giving someone fish instead of teaching them how to fish. Why are African leaders always ready to accept fish from western nations instead of learning how to fish?. You may ask; what’s the fish? Answer: the fish here is PRODUCTS OF SCIENCE such as technology. President Goodluck Jonathan of Nigeria, president Ellen Sirleaf of Liberia, and also the Sierra Leonian president have all been begging cap-in-hand for ZMAPP ebola medicine. But I’m sure science is one thing the west don’t want Africa to lay our hands on. While they are ready to give us the drug but one thing they will never do is tell us how it is manufactured because they want us to remain dependent. Nothing gives the west much joy than the fact that Africa is a dependent continent that will always look up to them for our supplies. Just yesterday, I heard the US and Canada are finally ready to send ZMAPP to Africa. Remember ZMAPP is an untested drug for ebola treatment. This effectively means using Africans as legal guinea pigs. And I begin to wonder; how can ebola that’s killing African populations have a cure in USA or Canada instead? When are we going to start manufacturing our own ZMAPP? Or, is Africa doomed to be the beggar continent forever? Are we going to depend on the west forever? The west loves it that Africa is a dependent continent, a continent that will always look up to them for our science and technology needs. The West understands that no matter how much aid you give to Africa, no matter how much investment you put in Africa, Africa cannot develop without investment in grassroots science!. This’s why science is off-topic in any meeting, conferences to discuss Africa’s development or any other third world country for that matter. People let me tell you!. If Africa gets science right, we Africans will be able to build whatever infrastructure we want without western help and or without choking ourselves to death with world bank and IMF loans. Therefore, if we want infrastructural development in Africa we don’t have to engage in world bank and IMF infrastructural development loans which help keep us poorer in the long run. Instead, we have to pursue scientific development first. That is, we have to learn how the west built their own infrastructures!. No amount of donated shoes will provide shoes for this boy or his village forever. All that whoever is wearing this shoe need is education on the science of shoemaking and he will make shoes not only for himself but his entire community. The only way his community can wear shoes all year round is to learn the science and technology to build their own shoes. Get it? Science is one thing the west is hiding from Africa because they know science is the shortest way out of poverty for nations. This's why scientific collaborations are always off-topic in their conferences. Science + Technology + Industry = DEVELOPMENT (Wealth). Only when Africa get science right shall we be truly free. This includes freedom from world bank and IMF trojan loans, freedom from western control, freedom from hunger, ebola, disease, freedom from technological slavery, e.t.c. Africa will have total freedom and wealth when we get science right. This's what the west don't want Africa to know. I have made the claim and stated the way to break out of poverty and western control. Read the details and you will understand why SCIENCE is the way. By Africason is a Musician/independent recording artiste/researcher and a die-hard believer in Africa.